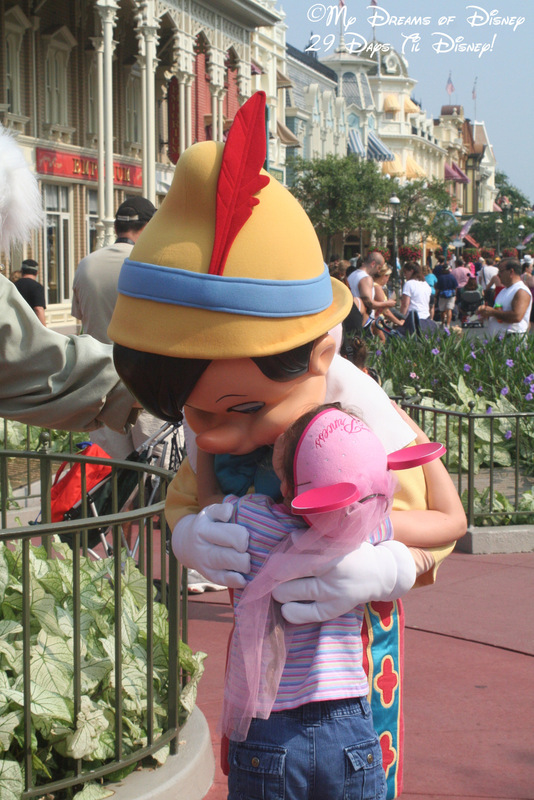 Kissing Pinocchio — 29 Days Til Disney! Today’s picture comes to us from Town Square way back in August, 2007. In the picture you see Sophie kissing Pinocchio on the cheek when we met him and Geppetto as we were entering the park. To the best of my memory, we haven’t seen them in park since, although I’m certain that they’ve been around. I love the innocence in Sophie in this picture, it’s what I like the most about this picture. This picture is also being included in the Wordless Wednesday blog hop that my friend Deb is hosting over at Focused On The Magic. Click on the image to head on over and check out the rest of the great pictures! Thanks for stopping by! 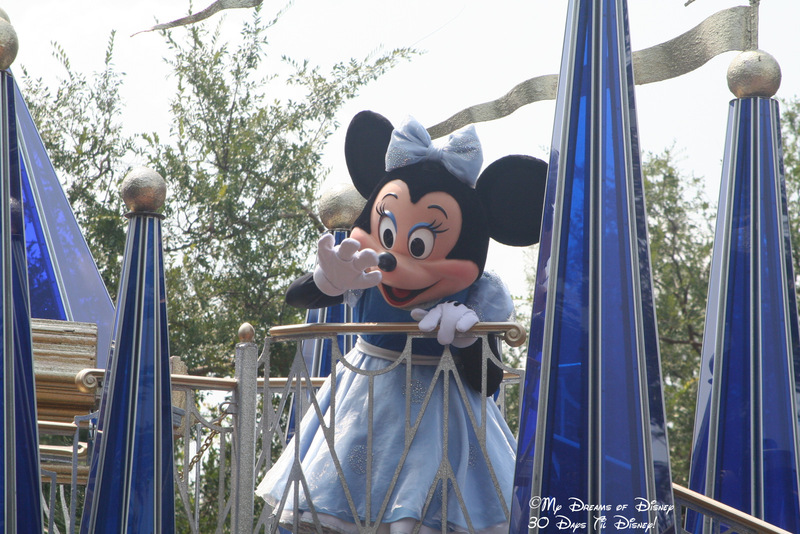 Beautiful Minnie – 30 Days Til Disney! Today’s picture comes to us from one of the incredible parades that you can see at the Magic Kingdom. If my memory serves me correctly, we saw this parade as we were leaving the Liberty Tree Tavern over in Liberty Square back in 2007. It was one of those magical moments were we were just fortunate enough to finish our lunch, exit the restaurant, and the parade was right there in front of us! 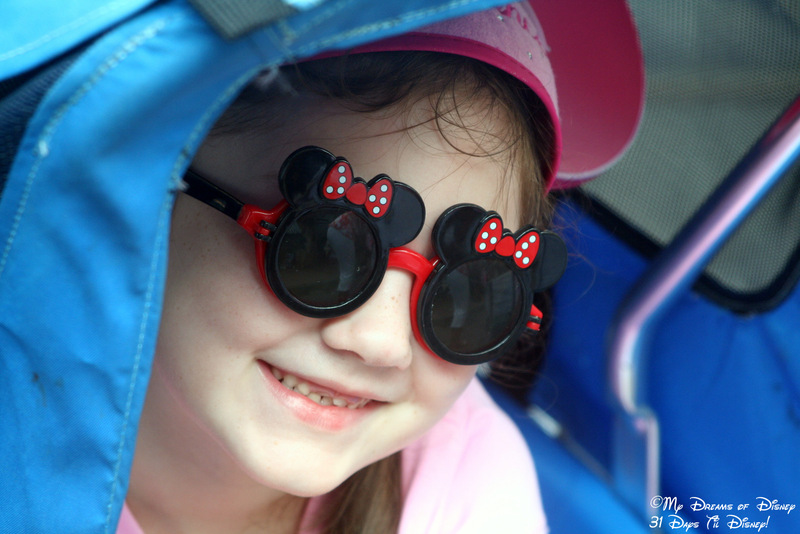 Minnie Mouse Glasses – 31 Days Til Disney! Today’s picture comes to us from our first trip to Disney where we stayed on property — 2007. In this picture, Sophie is modeling her special Minnie Mouse sunglasses. The cool thing about these glasses was that she could open the sunglass part of the lenses and underneath were clear lenses to look through! This picture was taken in Town Square over at the Magic Kingdom! I hope you enjoyed it! 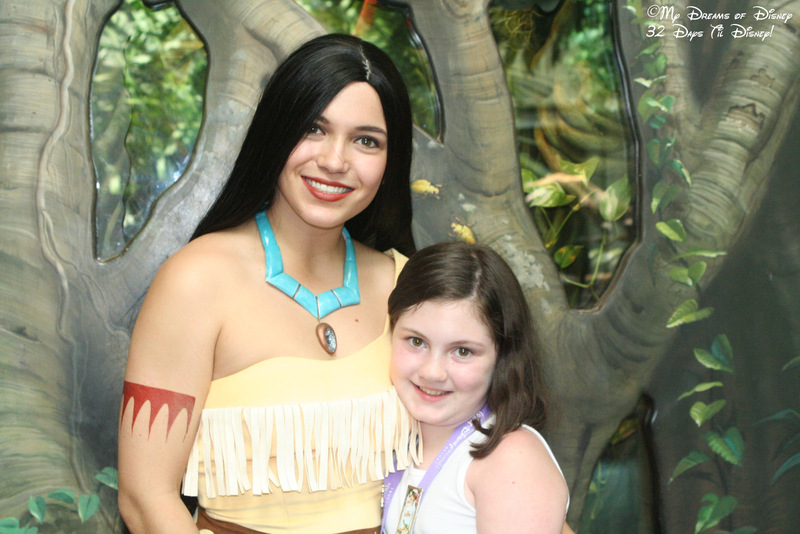 Pocahontas – 32 Days Til Disney! In today’s Disney picture of the day, I thought I would share with you a picture that was taken over at Rafiki’s Planet Watch. We were looking at all of the different things there, and when we came around a corner, there was Pocahontas! Sophie was able to spend about five minutes talking with her, and getting pictures taken. At the end, she even gave Sophie a kiss on the cheek. That was a great character moment, and one we won’t soon forget.